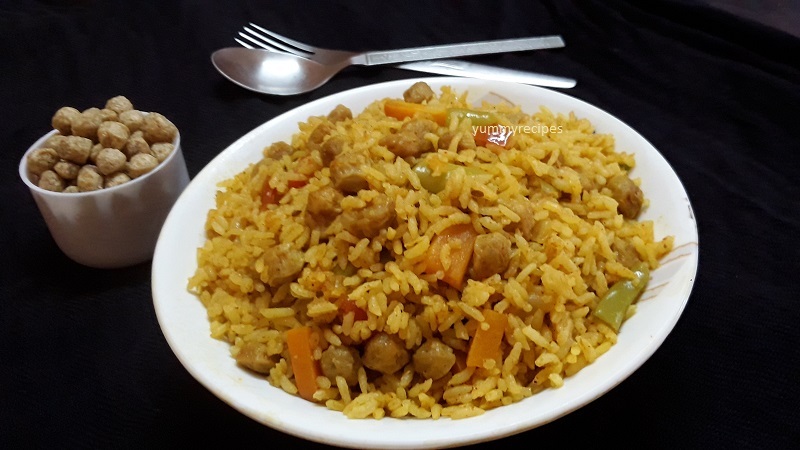 Soy chunks pulao / Soy chunks recipe is a healthy, delicious and simple lunch idea and it’s also a high protein food. 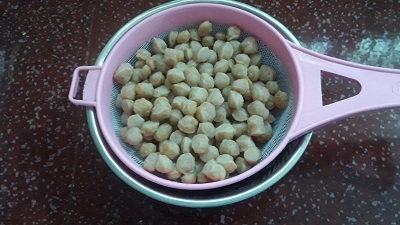 Soy chunks also known as mealmaker. Every 100gms of Nutrella contains about 336 calories. 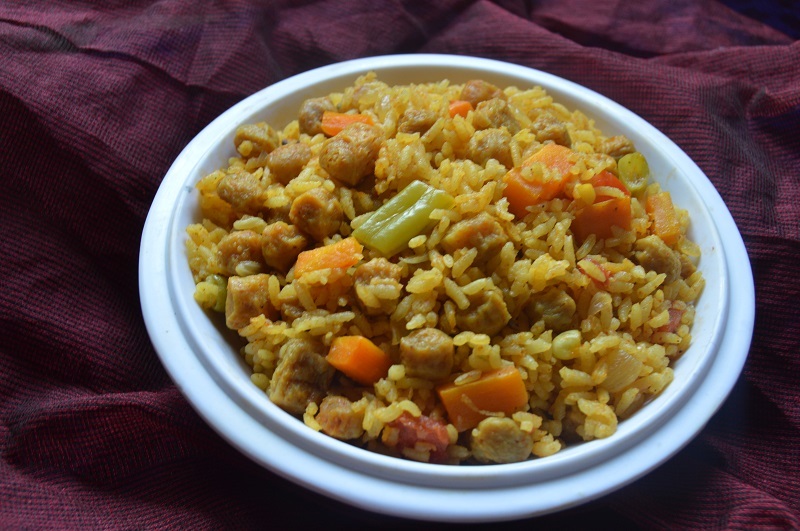 If you are a pure vegetarian this is the best healthy choice for your lunch or dinner. 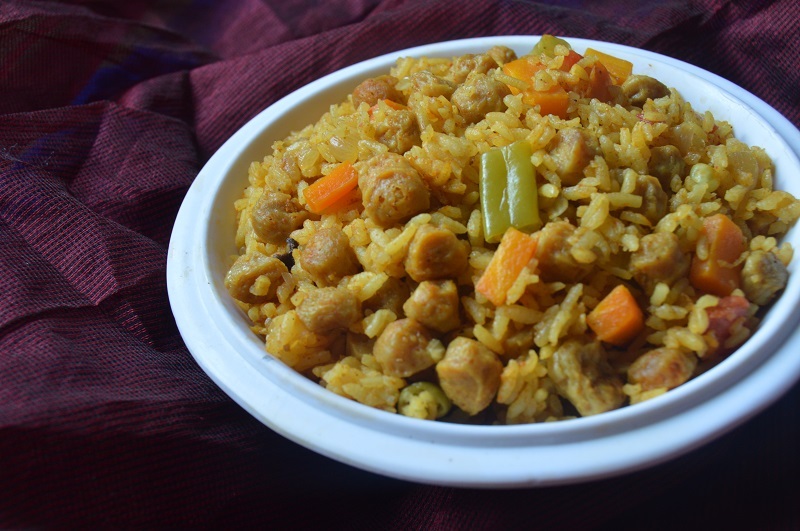 Soy chunks pulao is the combination of vegetables and spices. Let’s see the making bellow with detailed images. wash the rice and drain the water completely. 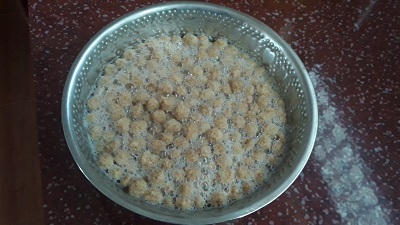 In a bowl add hot water and salt, then add 1 cup soy chunks and soak in the hot water for about 15 minutes. Drain the soy chunks and squeeze the chunks. In a deep bottom vessel heat oil and add cumin seeds, whole spices. 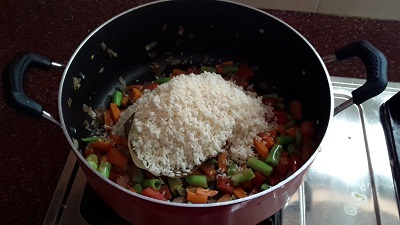 Then add chopped onion and very little salt. Cook till the onion changes its color. Add ginger garlic paste and green chili in it. saute for 2 minutes in low flame. Now add chopped tomato, beans and carrot, saute it well. 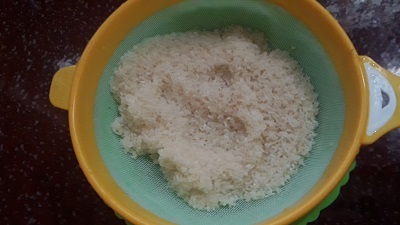 Add washed and drained rice and fry it for 2 minutes. Now add all masalas and mix well. 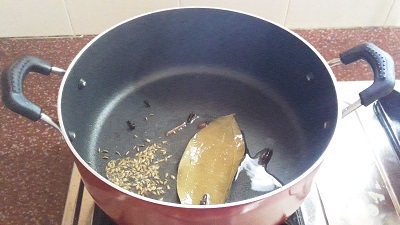 add all masalas and saute for 2 minutes in low flame. Then add soaked soy chunks and mix well. Pour 1 table spoon yogurt and combine well. Then add water and salt to taste. Close the lid and cook for 10 to 12 minutes in low flame. 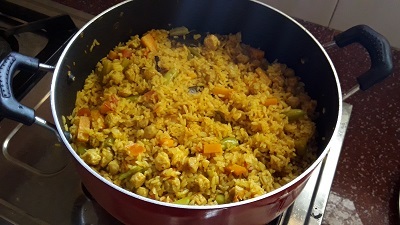 Delicious soy chunks pulao is ready to serve.